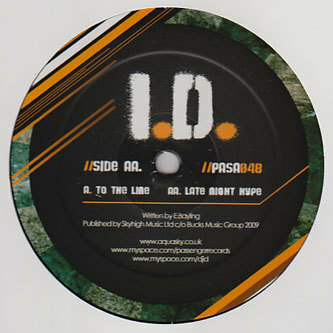 Two heavy lampin' breakstep cuts from I.D for Aquasky's Passenger imprint. I'D has previously unloaded goods with Baobinga and remixed Meat Katie and Stanton Warriors, but here he cuts for the dubstep market with subbass fuelled breakstep rattlers that'll do the business with Breaks and dubstep crowds alike. 'Tp The Line' is a peak time roller, while 'Late Night Hype' on the flip is a smokier vibe with lowlit ambient pads. Big with Baobinga, Warlock and Plump DJ's.